Six months into this whole suburbanite home owner thing, and we are still so, so, so happy with life these days. It's been a never-ending adventure. Sure, we are battling weeds in a yard and weird bumps in the night that never used to be an issue in our one-bedroom condo. But, it's been such a fun adventure!! One of the biggest things I have loved about being in our new home is that we can make it ours. From paint to furniture and wall decor, we are starting from a blank slate. I couldn't even bring myself to take a picture of the window treatments that were also in this room when we bought it. 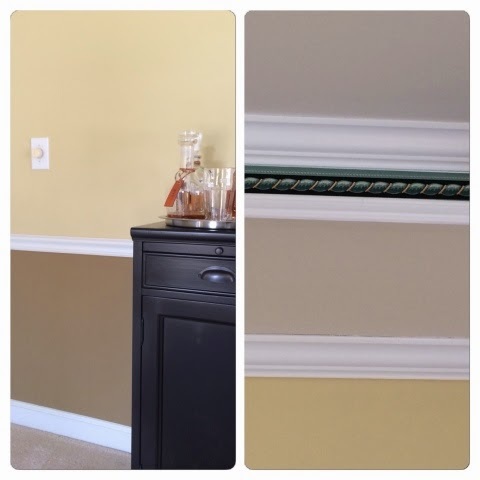 They were poofy and pleated, and didn't match either of the paint colors OR the trim. Tearing those things down was the very. first. thing I did when we walked in after the closing, I think even before we poured that celebratory first glass of champagne! 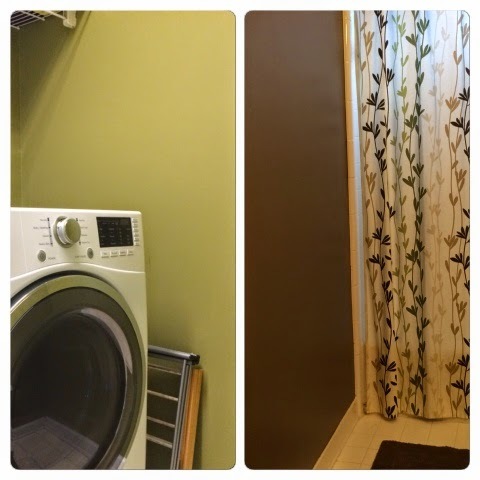 The laundry room has some similar earth tones going on, this time in pea green. See photo at left below. So clean and cheery, right? And the upstairs guest bath, the photo on the right? I can't even. Thankfully, it at least matches our shower curtain and towels, although I would have preferred a happy moss green to this shade of ... brown. This room in particular is on the short term weekend to-do list, no doubt. No home is without its decorating challenges, and while some might be overwhelmed by it, I take it as a challenge (say that with a nice Eurpean accent, "shall-ange"). I have been scouring home decor magazines for inspiration, and I know that a coat of paint and something on the walls can make a huge difference without spending a lot of dollars. What to put on the walls is a statement in itself. In our kitchen, we have two large canvas photo prints from our honeymoon. Upstairs, we have our monogram "guest book" above the bed in our room, signed by all the wedding guests. I have boxed up the rest of our old black-and-white gallery wall for now (and may resurface the art in new frames soon) while keeping an eye out for other artwork to freshen up our space. Or this foil-pressed map. I love foil-pressed things for a subtle shine and some local personality. This one is of Atlanta's downtown streets. They have a large variety of other cities and states to pick from, too. 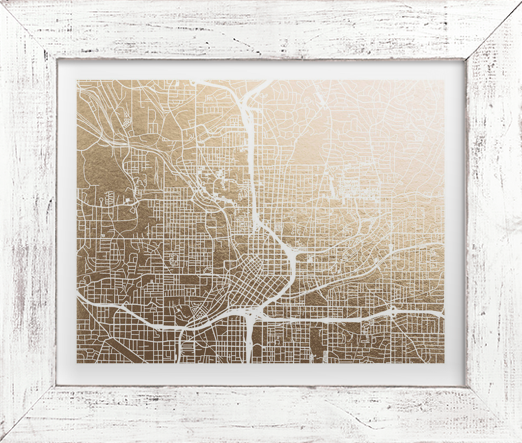 I like how the gold pops against the "distressed cottage white" frame. For rooms like my laundry room, I know I am going to be looking for something light and fresh to liven up the space, since there are no windows in there. 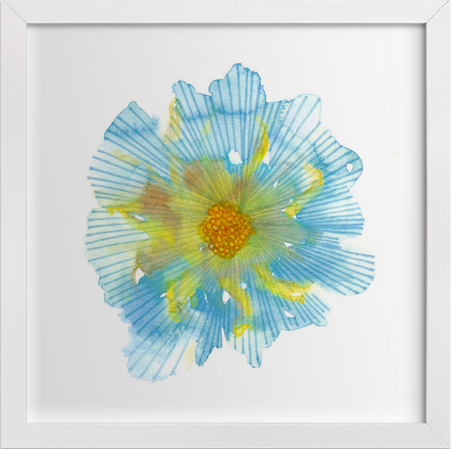 Prints like this cheerful flower are right up my alley, and would look cute paired with another similar one, maybe like these pretty ones, once we repaint with a new color (I am thinking something very close to white). I'd be remiss if I didn't mention Minted's stationery line. 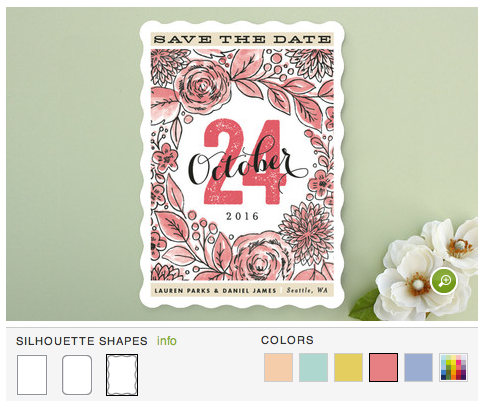 Minted has gorgeous cards and invites for all occasions. 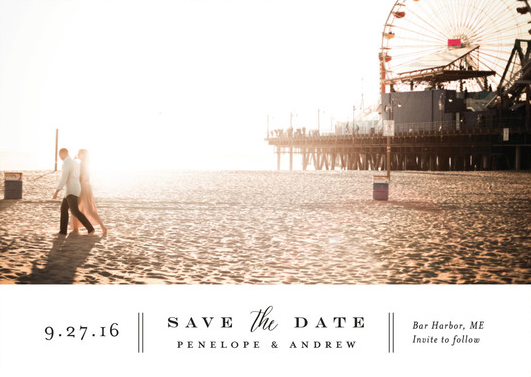 They have a brand new Save the Date collection for all of you brides-to-be (or party throwers extraordinaire, for that matter). I am loving so many of these cards. 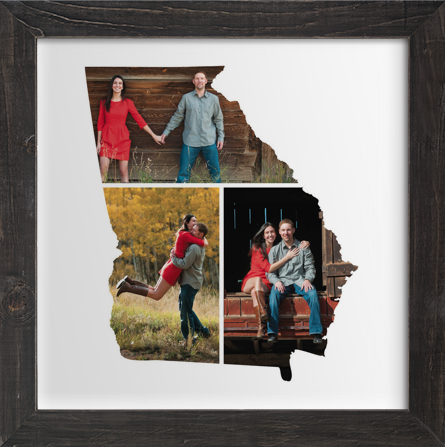 This one comes in a variety of colors, but then you can custom pick a color, too! This would be so fun for a fun event of any kind, not just a wedding. I love the phrasing of this one. 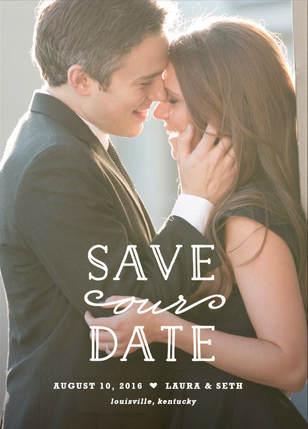 It's not just "a" date, it's "your" date and you should make it yours! So, whether you are home decor shopping, like me, or planning the next big event, go check out Minted! Let me know what you find! Have you shopped Minted before? What did you buy?